Close to town and just outside the city limits, this home is a great starter home, ideal for those looking to slow down and downsize, or anyone who needs a blank slate to create their own space. 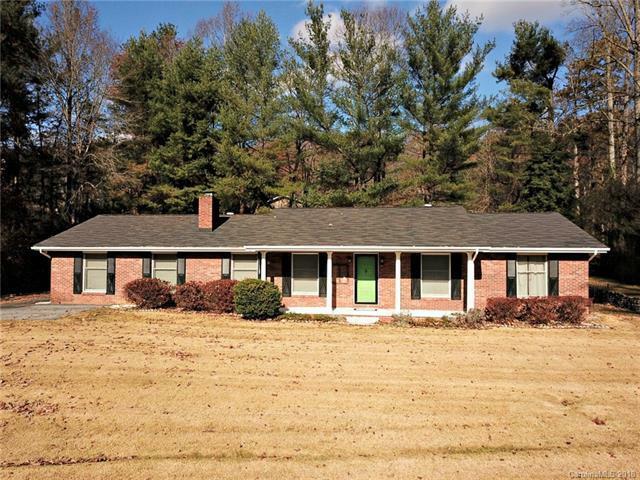 Set back off Haywood Rd, this home offers 3 bedrooms with lots of light and 2 full baths. The living room has a gas fireplace that doubles to the other side in the garage. If you don't need 2 cars in the garage, a portion could be converted to make a great man cave, storage area, craft room, or even a 2nd living space. The front entrance welcomes you with a beautiful slate floor entryway. Closets and pantry are California custom. Kitchen appliances have been updated in recent years and the space offers convenient access to the washer and dryer. Enjoy the large screened-in porch in the back along with a beautiful rock wall that wraps the backyard and ties in with the fenced-in yard, the perfect spot for your pets and kids! With one-level living and ideal location, this home cannot be missed!